The SIMetrix user interface provides an environment where multiple views can be managed within a window. 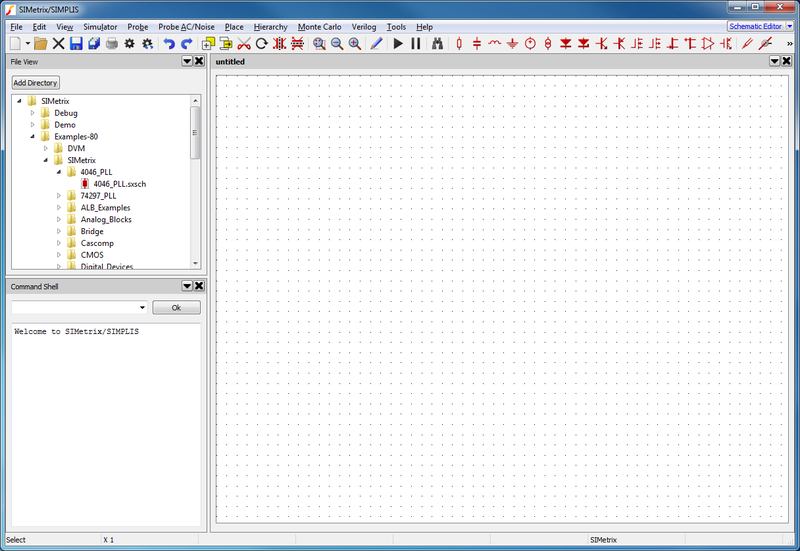 There are a range of views, for example content related views such as the Schematic Editor, Symbol Editor and Waveform Viewer, along with more system related views such as the Command Shell and File Viewer. By dragging a views title bar, views can be rearranged within a window into the layout that best suits your needs. Before we discuss the layout possibilities, we note that there are conceptually two types of views within SIMetrix. The first, System Views, provide tools to operate the program, which includes the Command Shell and File Viewer. The second, Workspace Views, provide means for developing and reviewing designs, which includes the Schematic Editor and Waveform Viewer. In terms of layout, System Views sit on the outside of any Workspace Views. A visualisation of the regions that can be used to place a System View are shown below. Workspace Views will fill in any available space if System Views are not present. The regions that a System View can be placed (shown in blue), in relation to a Workspace View (shown in white). When a view is dragged, these guiding regions shown in blue will be displayed to highlight where a view can be dragged to. Alternatively, views can be moved to new or existing windows. 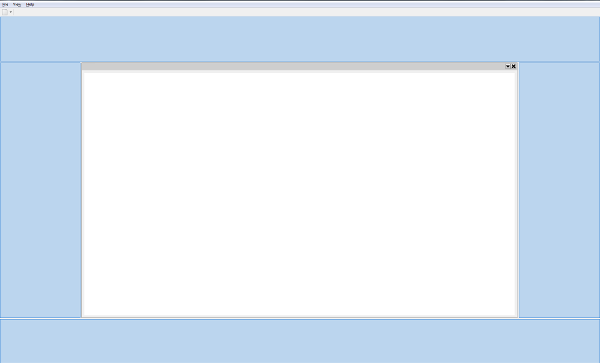 In the Interaction section, more detail is given about arranging layouts within a window.